The LED lighting market is trending. Burtner Electric is sharing some great ways to incorporate the efficient and relatively newer electrical technology in your home for the long-haul. From traditional fixture designs to contemporary styles, outdoor lighting is a great way to implement LED lighting and bulbs on your property. The life of the bulb, cost savings and the bright, sharp illumination will provide a positive home gain. Choosing the right bulb style can make all the difference in the lighting of your home. With LED bulbs, there are a variety of colors and options. Today, there are even Edison bulbs with a unique and one-of-a-kind LED filament and bulb glass. also be an uncomfortable and inconvenient bulb change. 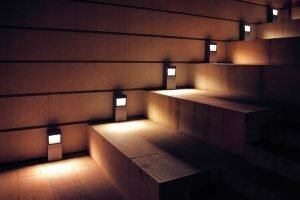 An LED fixture will not only solve these issues but will provide adequate step lighting. 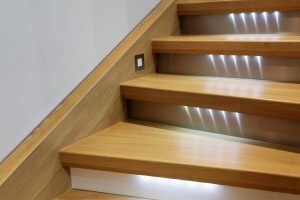 By taking advantage of these LED design trends in your own home, illumination and savings will be on-point for many years to come. Call Burtner Electric, Inc. at 317-773-7663 to replace your old bulbs with LED bulbs in your can lights, outdoor floods and all those hard to reach places. Visit BurtnerElectric.com for more information.